The Locally Grown Drop Crew! In addition to our off the truck, full-service catering, we are delighted to offer the latest line of on-set experiences... The Locally Grown Drop Crew! The Drop Crew saves on resources, making the service easy, convenient and affordable. Enjoy all the Locally Grown menus and high level of customer service that you've grown to love over the years, now available in a new, drop-off format. 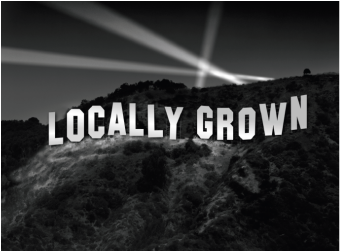 Take advantage of the Locally Grown spin on a catering standard in the Greater Los Angeles Area for all your ever-changing production needs. So why not welcome The Locally Grown Drop Crew on-set? Contact us today to book a job or request more info!